In this week’s recap: an impressive Q2 GDP reading, a consumer sentiment dip,a falloff in home buying, and the end of a long stock market correction. Not since the third quarter of 2014 has the economy grown at such a pace.In its report released Friday, the Bureau of Economic Analysis noted 4.0% growth in consumer outlays during the quarter,a 7.3% improvement in business spending, and 3.5% more federal government spending. The BEA also revised the first-quarter GDP number up 0.2% to 2.2%. The University of Michigan’s final July consumer sentiment index came in at 97.9, 0.8 points higher than its preliminary reading earlier in the month, but 0.3 points below its final June mark.This minor month-over-monthdescentleft the gauge at its lowest level since January. Existing home purchases slowed 0.6% in June, and new home buying weakened 5.3%. June was the third straight month to see a pullback in resales, according to the National Association of Realtors, and existing home sales were down 2.2%, year-over-year, as the first half of 2018 ended. In its monthly report, the Census Bureau noted that new home sales are up 6.9% YTD. On Wednesday, the S&P 500 – the Wall Street index that the financial media typically uses as shorthand for the broad stock market – exited its longestcorrection in nearly 34 years by settling at 2,846.07. (A correction is defined as a descent of at least 10% from an index’s peak close; an index recovers from a correction when it climbs 10% above a closing low.) The S&P gained 0.61% for the week, finishing Fridayat 2,818.82. The Dow Industrials bettered that, adding 1.57% in five days to reach 25,451.06 at Friday’s closing bell. Losing 1.06% for the week, the Nasdaq Composite declined to 7,737.42.
than with a lump sum taken from an investment account. 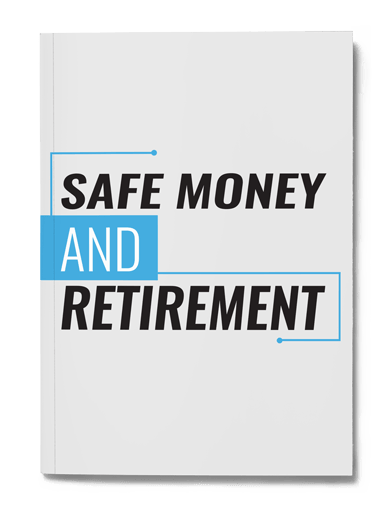 Retirement savings will notgrow and compound if they are drawn down early. On Monday, the NAR presents its June pending home sales index, and Acadia Healthcare, AK Steel, Bloomin’ Brands, Booz Allen Hamilton, Caterpillar, CNA Financial, Denny’s, KBR, Kemper, Loews, Logitech, Nautilus, Nutrisystem, Rent-A-Center, Seagate Technology, and Transocean offer earnings news. | Tuesday, June personal spending data emerges, along with the June PCE price index, the Conference Board’s latest consumer confidence index, and earnings fromAnadarko Petroleum, Apple, Archer Daniels Midland, Baidu, BP, Charter Communications, Container Store, Credit Suisse, Cummings, Extra Space Storage,Fidelity National, Fortis, Fresh Del Monte Produce, Frontier Communications, Genworth, Huntsman, Hyatt Hotels, Pandora Media, Pfizer, Procter & Gamble, Ralph Lauren, Sony, Unisys, Vulcan Materials, WestJet, and William Lyon Homes. | On Wednesday, the Federal Reserve issues its latest policy statement, ADP puts out its latest payrolls report, the Institute for Supply Management unveils its June manufacturingPMI, and earnings arrive from Alamo Group, Allstate, AMC Entertainment, AmeriGas, Arcelor Mittal, AutoNation, Chesapeake Energy, Cirrus Logic, Diebold Nixdorf, Energizer Holdings, Express Scripts, Fitbit, Garmin, Hanesbrands, Herbalife, Humana, Macerich, Marathon Oil, MetLife, Molson Coors, Pitney Bowes, Prudential Financial, Public Storage, Sprint, Square, Taylor Morrison, Tesla, TripAdvisor, U.S. Steel, Valvoline, Voya Financial, Wyndham Hotels & Resorts, and Zynga.| Thursday’s earnings roll call includes Activision Blizzard, Aetna, AMC Networks, AIG, Avon, Blue Apron, CBRE Group, CBS, Cigna, Clorox, DowDuPont, Duke Energy, Fluor, GoDaddy, GoPro, Icahn Enterprises, Kellogg, MGM Resorts, Motorola Solutions, Parker Hannifin, Pinnacle Foods, RE/MAX Holdings, Shake Shack, Spectra Energy, Symantec, Take-Two Interactive, Teva Pharmaceutical, Western Union, Wingstop, and Yum! Brands. | A new employment report from the Department of Labor appears Friday, plus ISM’s June non-manufacturing PMI and earnings from Kraft Heinz. LAST WEEK’S RIDDLE: Scott has math 4 times a week. If he has math at 8:00 Monday, 9:00 on Tuesday and Wednesday, and 8:00 on Friday, when does he have math on Thursday? ANSWER: Scott does not have math on Thursday, as he already has math at the four other times.